Among the heated question and answer segment at the first sitting of the 2015 Legislative Assembly emanated from a question posed by opposition member the Hon. Easton Farrell Taylor to Education Minister the Hon. 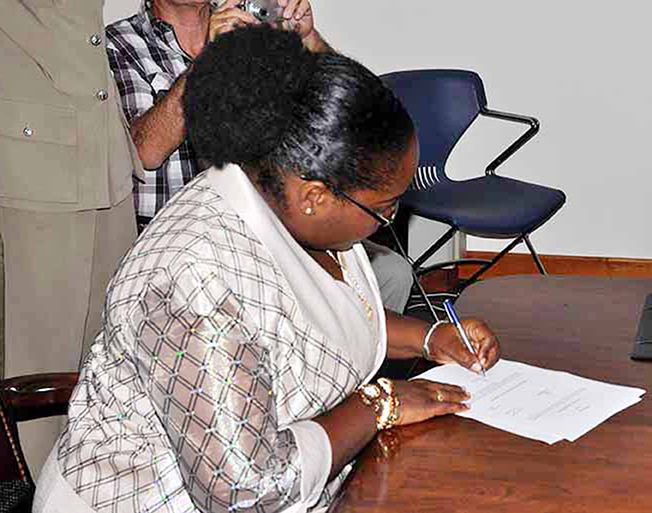 Delmaude Ryan about approved funding for the refurbishment of the Montserrat Secondary School. The question seemingly backfired on the opposition member when the Education Minister responded. “For the record, let it be recorded in this honorable house that in accordance to advice from the Ministry of Finance, there have been no funds approved for any proposed work on the MSS site prior to this administration taking office in September 2014,” she said. Hon. Taylor Farrell then asked this supplementary question. “Is the Hon. Minister saying that there is no funding in the pipeline for construction of buildings at MSS”? The Education Minister responded by indicating that talks will continue with DIFID for the construction of a new secondary school in the not too distant future. Mrs. Ryan indicated to the house the poor working conditions that is currently the situation at the school. “Currently woodwork classes are being operated without proper ventilation in a library; art classes are currently operating from a storage room which has leaks from dripping toilet water, which also extends into a corridor and over the sloping bank at the school. Classes have been misplaced and are conducted under trees at the college and a good ten minutes unsupervised walk over to the old Salem primary school which in itself is in poor condition creating greater safety and health risks”. 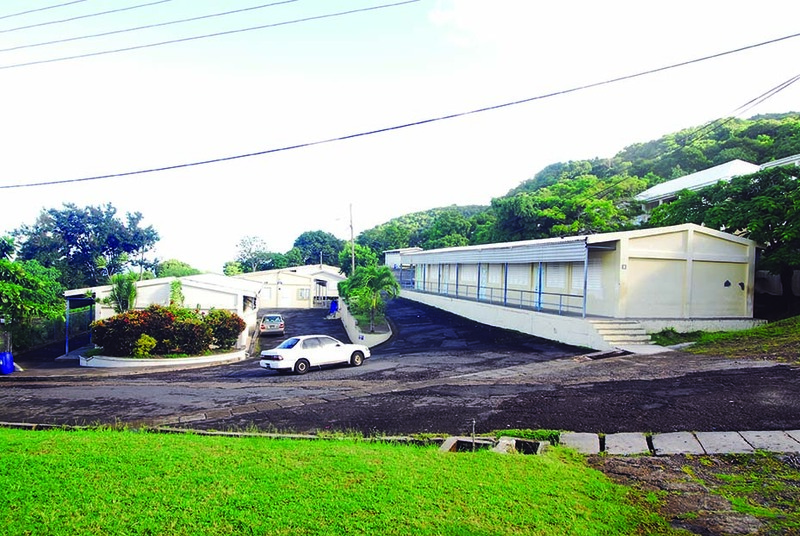 During the MCAP five-year term in government, the budget allocated to education was cut resulting in much heated discussions and debate with the school unable to meet the needs of the education sector on island. According to Minister Ryan the government is awaiting funding from DIFID to construct temporary wooden structures to help ensure health and safety issues at the school are addressed. In the mean while the principal, staff and students at the school continue to operate in conditions deemed by the Education Minister as unsafe and unhealthy. @OwenJones84 @lucyfrown Criminal offence pictured here right? @metpoliceuk can you investigate please?